This Frame Model has 6 Frame Examples with additional photos. Choose from the options below to view them. One of the larger bicycle manufactures in Holland. Established in 1904. 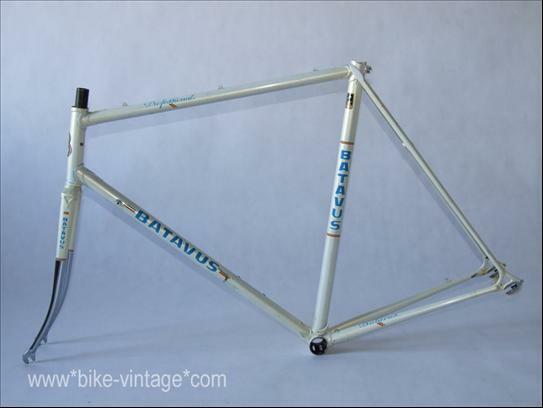 From the early 70s one, through the 80s and into the early 90s Batavus offered a performance orientated range of frames consisting of roadframes, crossframes, trackframes and time trial frames. 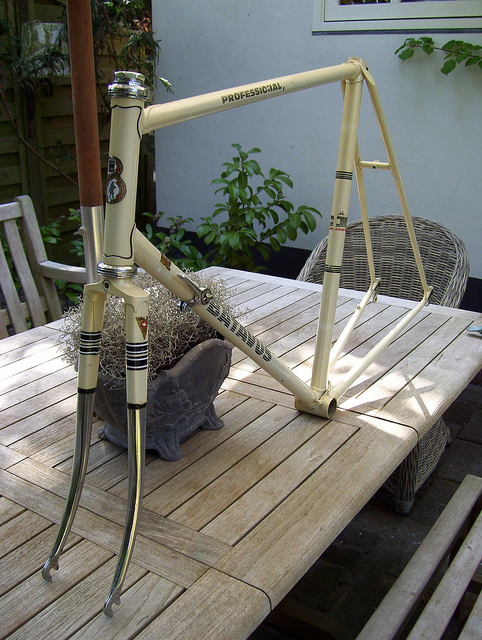 'Handbuilt in Holland' by Batavus' small frame shop in Heerenveen. Professionals were available in many tubing variants: 531C, 531P, SL, SP and SLX. 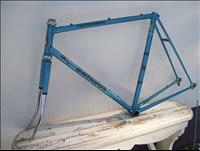 Bocama was the lug supplier, except for with the SLX frame that used Everest lugs. Other suppliers for frameparts include Cinelli (aero crown, spoiler shells), Dardanne (shells) or Zeus (Professional 2000 crown on the cross model). Drop outs by Campagnolo. 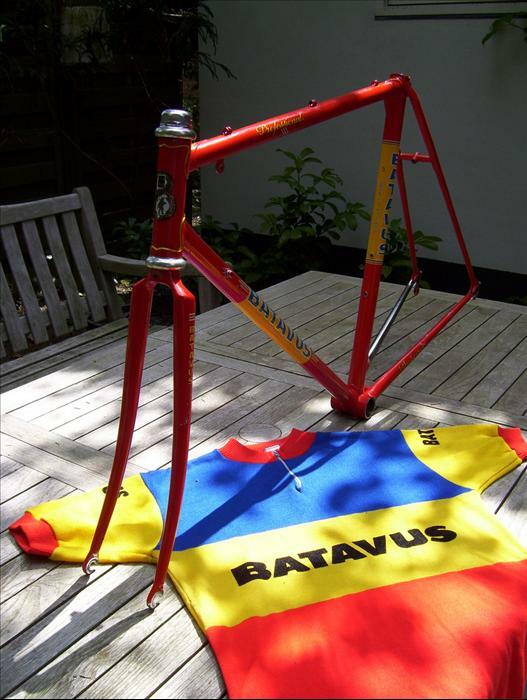 Batavus had their own amateur team. From the mid 80s on Batavus became official material supplier of the Dutch national KNWU/AMEV team. Professionals were raced to several world titles and olympic medals.